This sauce goes well with any meat and many vegetables. If you leave out the cornstarch it is also a good marinade. This is my variation of the sauce my mother, Claudia, used in the 1950’s. 1. Mix the marinade ingredients (soy sauce, mirin, sake, vinegar, ginger, and sugar) in a small pot. 2. Bring the pot to a boil. Reduce the heat and simmer for five minutes. Tip: You want at least a half cup of sauce. If you are using it as a marinade and the meat has soaked up too much, add a bit more soy sauce and mirin. Note: You may add mushrooms or mushroom trimmings to give the sauce an umami boost. If you have used the sauce as a marinade you will need to remove the meat juices from the sauce. When you heat the sauce, the juices from the meat will coagulate. 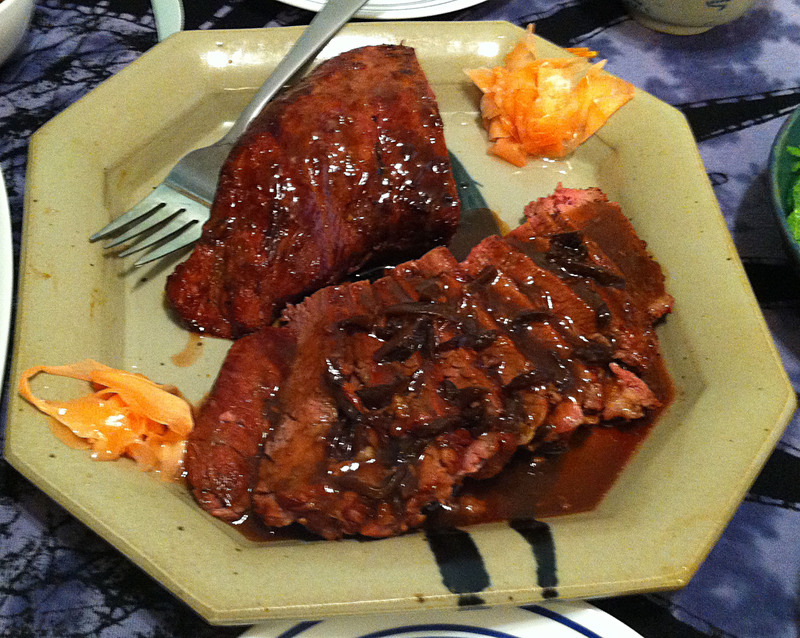 Use a strainer and a coffee filter to remove the solids from the teriyaki sauce. 3. Mix a teaspoon of cornstarch into a tablespoon of water and add it to the pot. Re-heat the sauce just enough to thicken it. 4. Brush the sauce on chicken, fish, beef or steamed vegetables and enjoy. Mmmm looks great and its so easy too!